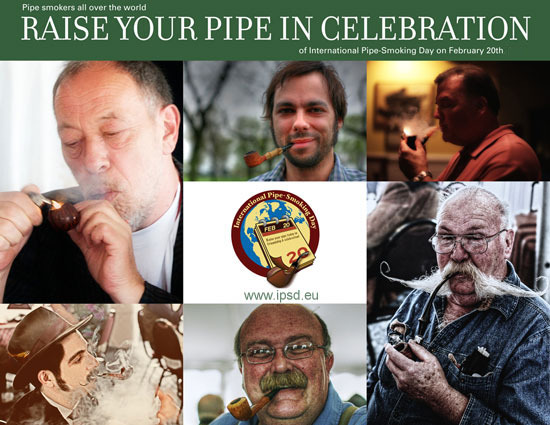 Please be sure to join your New York Pipe Club as we celebrate our Tenth Annual International Pipe Smoking Day (IPSD) Celebration! Just so we can give Barclay Rex a head count, please RSVP by Feb. 10th by emailing Lou at president@newyorkpipeclub.org or by replying to this email if you are able to join us. his daughter, Vanessa Nastri and sales associate, Joanna Ubowska, at their plush and fabulously appointed, 126 Pearl St. downstairs lounge; right here in our own fair City! Barclay Rex is now the last family run shop in NYC. We'll be set up in the lower level lounge around 1:00pm and we are welcome to stay until 8:00pm or later if necessary! THANK YOU,MR. VINCE NASTRI III!!! That's right, this year, we change venues once again!I want to thank all, specifically, Mr. Vig, Dmitri and Patrick, who have helped in securing this comfortable and splendid location for us to celebrate this year, I really appreciate it! We also thank our good friends at Barclay Rex, the last family run shop in NYC, owner, Mr. Vince Nastri III and sales associate, Joanna Ubowska, for extending the welcome to our Club!! !We appreciate that so much!!! We will enjoy the comfort of Barclay Rex's new lounge located on the lower level of the shop. Many of you are already familiar with the new location and know how beautiful the shop is and how comfortable the lounge is. We cannot thank the management enough for inviting our Club to celebrate there! The brand new Pearl Street location has been exquisitely appointed creating a wonderful, roomy and comfortable atmosphere. Please make every effort to come on out and join us and while we are there, why not show our gratitude, thanks and support of a brick and mortar shop by purchasing some of the many fine tobacco blends for sale at Barclay Rex, a brand new pipe or perhaps even a fine cigar, yes, don't worry we won't be angry if you buy a cigar! The New York Pipe Club invites all pipe smokers and those interested in the art of pipe smoking to join them in their celebration, February 18th at Barclay Rex 126 Pearl Street, NYC. We'll be at the Lounge, by 1:00pm, just look for us. - Catered food or snacks will be provided exclusively by Barclay Rex for us! - I have been assured that this event is also a BYOB, so please feel free to bring the libation of your choice! - Barclay Rex will also be extending to us a 20% discount on pipes, tobaccos and accessories! - Barclay Rex will also be conducting an exclusive raffle at $5/ticket for a Vintage Barclay Rex Pipe carved by Mr. Nastri's Grandfather! We also would like to welcome and send an open invitation to other area Pipe Clubs to join us in the celebration, after all, the day is all about unity! So, we invite all members of the Christopher Morley Club of Philadelphia, the NJ Fellowship of Pipe Smokers, and the Hudson Valley Pipe Club and any others who can make it into Manhattan. Obviously, it goes without saying that anyone and everyone who enjoys briar and leaf is welcome to join us in celebrating - our motto, as always is, All are Welcome!!! Spread the word!!! Be sure to make plans to hoist a bowl in the name of international unity and pipe smoking brother and sisterhood! "On February 20th pipe smokers all around the world are celebrating International Pipe Smoking Day. On this day we will celebrate the noble art of pipe-smoking and the spirit which pervades the brotherhood and sisterhood of the briar. We will put into practice the time-honored and ancestral traditions of raising our pipes in unison to toast each other and share a bowl together." 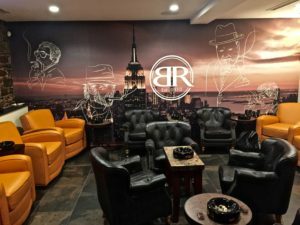 The New York Pipe Club invites all pipe smokers and those interested in the art of pipe smoking to join them in their celebration February 18th at Barclay Rex, 126 Pearl Street, NYC. So, please make every effort to come out and join us!!! As always, please be sure to check your email for our Club Newsletter and special announcements. Also, be sure to check in often at our Club website and our Club Facebook page for more details as they become available. Bring your pipes & tobaccos! Tobacco sharing is happily encouraged. Come for fellowship with other pipers! Bring your pipes & tobaccos! join pipers around the world for IPSD!! Would you like to be this happy?